This Ain't the Rosedale Library is, if nothing else, a survivor. 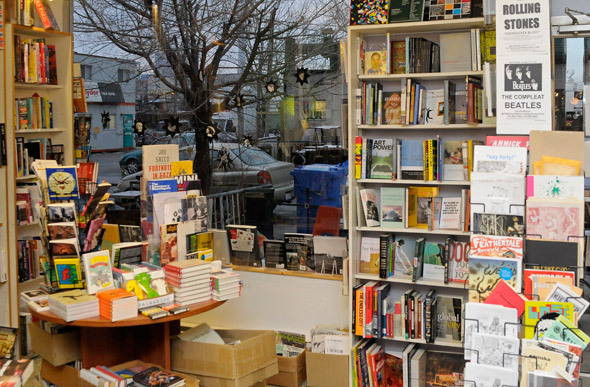 Over the store's more than 30 year history, Toronto has seen its fair share of booksellers come and go, the rise of mega stores like Indigo, and the beginning of the e-book era -- but still it continues on. Although I've used the analogy before, I think it's apt to compare the independent bookseller to a character one might find in a William Faulkner novel. Surrounded by the forces of change, he remains a throwback to a sort of golden age, the memory of which supplies him with the will (and stubbornness) to endure despite a difficult present and an ominous future. There is, of course, a certain defeatism to such a comparison, but I use it as much to highlight my own nostalgic tendencies as to lament the fate of bookstores in general. Charles Huisken, the founder of This Ain't the Rosedale Library, is very much a representative of a time when bookstores played a more significant cultural role in the life of our city. 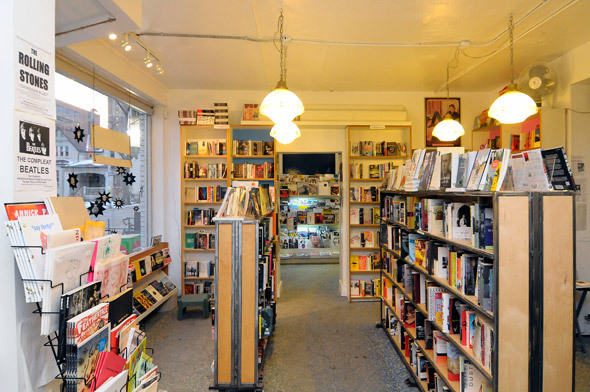 When I pay my visit, I'm quickly taken by his uncanny ability to call to mind anecdotes and stories about many of the titles scattered throughout the store and his vast knowledge of Toronto's literary history. He also clearly enjoys chatting about books, and his willingness to engage me was far from special treatment. Conversations such as the one we had are, no doubt, an everyday occurrence at the store. It has, of course, become cliche to celebrate these types of things, but perhaps only because many attribute such qualities to those who never possessed them in the first place. I can think of a number of bookstores I used to frequent whose owners were about as surly as you can imagine, and anything but helpful when asked for a recommendation. But I get the sense that This Ain't the Rosedale Library's staying power has a lot to do with the quality of Huisken's recommendations and reading advice. I'd be remiss, however, if I were to imply that he's the only one capable of serious book-talk at the store. At around the time that it moved from its longtime residence on Church Street (about two years ago ), Huisken's son, Jesse, joined forces with his father. And it's clear he's already an excellent bookseller -- passionate, well-read, and young enough to know many of the challenges that face the family business in the digital age. 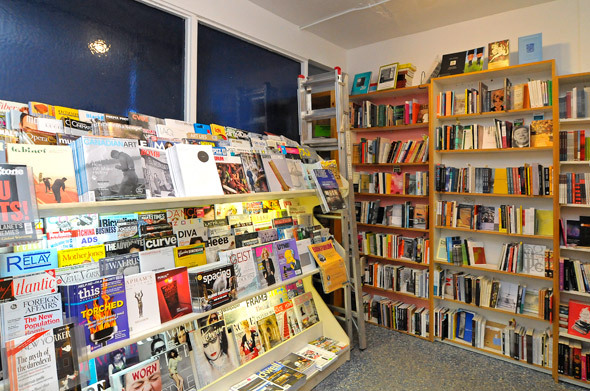 But, as important as the ability of the staff to interact with customers and recommend titles is, a bookstore is nothing without an excellent selection. Definitions of "excellent" will, however, vary from customer to customer depending on their expectations of a bookstore. To be fair (and obvious), This Ain't the Rosedale Library will never be able to compete with a chain like Indigo in terms of overall selection. But, knowing this, the Huisken's try to offer something different. "We carry the often overlooked titles and love to recommend books that customers might not be aware of," Charles tells me. Basically, this is a store to go to when you haven't already made up your mind about what you want to buy. Don't get me wrong, the overall selection is pretty good, but it ultimately reflects the size of the store. To once again risk the use of cliche, the philosophy behind the Huisken's stocking of the store is quality over quantity. Although they have well-stocked sections of fiction, auto/biography, magazines, urban affairs and books on art, the reward of shopping here is finding the gems you didn't know existed. 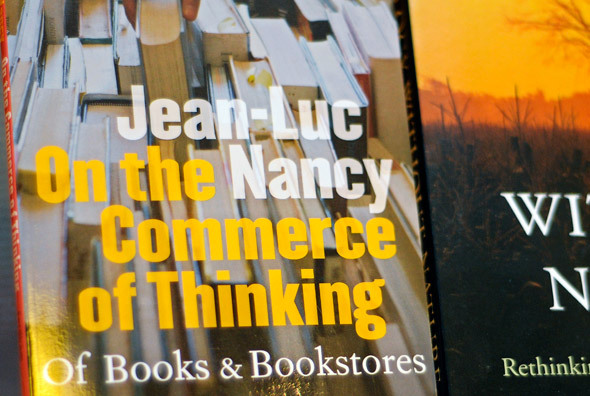 I was particularly interested, for instance, in Jean-Luc Nancy's take on the book industry in the title depicted below. Prior to my visit I had no idea that Nancy had delved into such subject matter, but now that book is on my to-read list. 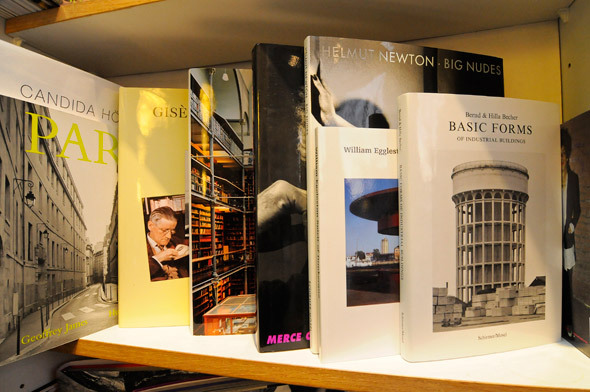 I was similarly intrigued by a number of the photography and art theory books that I saw, not to mention the selection of first editions and signed copies in the glass cabinet adjacent to the cash. Though a minor aspect of the business, these rarities speak to a life spent collecting and selling books. This Ain't the Rosedale Library also sells a small selection of chapbooks and self-published (or extremely small press) titles. Sold mostly on consignment, they're also fascinating to peruse. 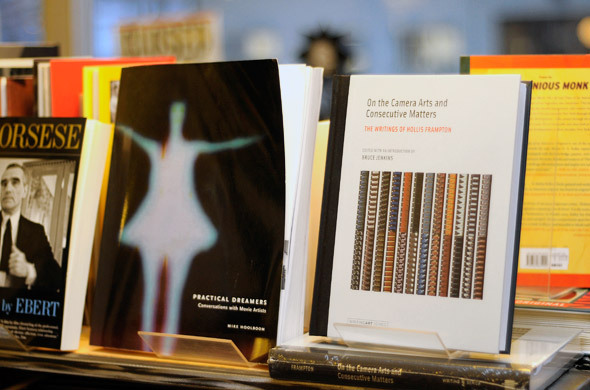 Not only that, but they encourage a community of artists and literati to frequent the store (as buyers and sellers). I can't stress enough how important this community-creation is. Beyond the chapbooks and small-press magazines, the Huisken's have taken to hosting events at the store two or three times a month. To some extent, this is one of the ways to remain competitive with internet giants like Amazon. By taking steps to turn the store into a hub for creative-types, they might just be able to make the sympathetic customer think twice before buying online. If I'm any indication, this type of strategy can be effective. I'll freely admit that these days I buy a lot of books online, but I didn't leave the Husiken's store empty handed. They both made some excellent recommendations for magazines to tie me over until the next Cabinet comes out ( Prefix Photo and the New-York based Bomb ). These may not be major purchases, but I also saw a number of titles I'll be returning for. Could I buy them at a lower price online? Yes. But being able to chat it up at This Ain't the Rosedale Library is worth the extra money for me. 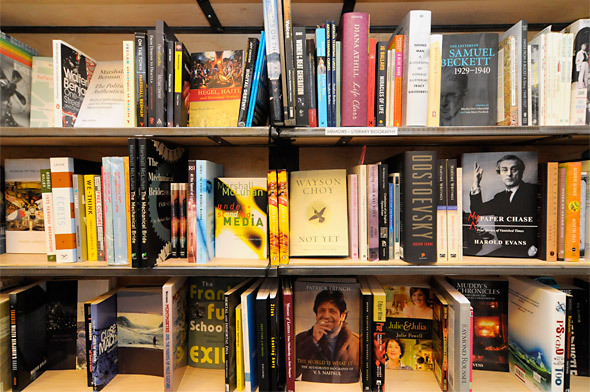 Lovers of independent bookstores better hope that's true of others, too.